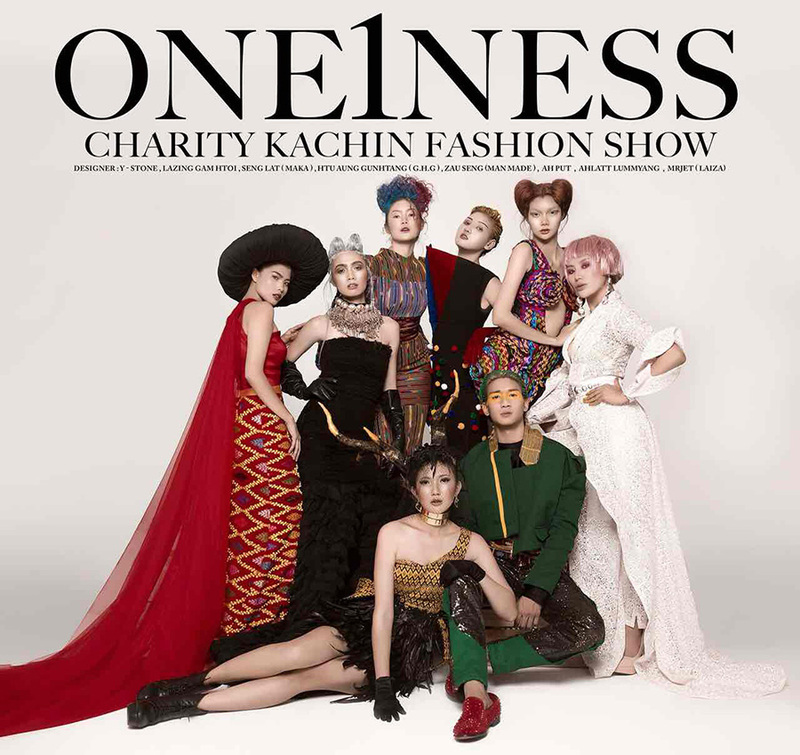 YANGON — Eight well-known Kachin designers will join the One1ness Kachin Charity Fashion Show later this month to raise money for people in Kachin and Shan states displaced by war and natural disasters. The show is being organized by the Ma Naw Ah Hla Charity Group and will take place on March 25 at Taw Win Garden from 5 p.m. to 10 p.m.
“The Ma Naw Ah Hla Charity Group includes Kachin singers, models and fashion designers, and we intend to donate to all kinds of people who need help,” said L Khun Yi, the group’s president. “Yes, we are a Kachin charity group, but we are willing to help other ethnic groups as well. That’s why this time we plan to go to Shan State and support the people who need help,” she said. The fashion designers joining the show include Y Stone (Yaw Bawn), Mr. Jet (Laiza), Ahlatt Lummuyang, Lazing Gamhtoi, Seng Latt (Maka), Htu Aung Gunhtang, Zau Send (Man Made) and Ah Put. Some 50 models will be sporting their creations. Kachin singers L Sai Zi, L Loon War, N Kai Yar and others will also perform at the event. “This is the second time I am participating in this event, and I’m so happy that I can help people with my design knowledge thanks to everyone who is helping us with this event,” said Y Stone. Tickets are 10,000 kyat and 20,000 kyat per person. The organizers will inform the public where to buy tickets later.